Purple prose may be a term from the literary world, but it applies to copywriting as well. Google defines it as, "prose that is too elaborate or ornate," and it's often a hallmark of low-quality writing. It's bad enough in fiction, but in copywriting, it's a complete killer. If your B2B copywriter is focusing too heavily on the quality of the writing, rather than its ability to convey information, they're likely going to be a bad fit for the job. The last thing you want is a writer who gets too "creative." This is perhaps the opposite of the purple prose writer -- the writer with absolutely no voice at all. You can tell these writers from the fact that their writing lacks any engagement at all. In fact, you probably want to stop reading before you've had your question answered. It's dry and clinical. It perhaps reads like it might have been written from a template. Make sure your B2B copywriter understands that (especially in the digital age) they need to grab the reader's attention, not bore them to death. If you pay by the word, money may be an influence. However, there's an easy solution: make sure the writer isn't paid for words that don't make it into the final copy. You might find that you can turn a "bad" B2B copywriter into a better one. What you see as fluff, a copywriter might see as their "voice," especially if they have very little experience at B2B copywriting. The best thing you can do in this situation is ask them for revisions to their work, specifying your issues, and see if they come up with something that's more appropriate copy. This is honestly the worst scenario. One of the reasons many copywriters will write fluffy articles is because they have no experience with your client's industry. There is very little you can do to reform these kind of writers. If they can't or won't do the research they need to write compelling copy, then they aren't worth your time. 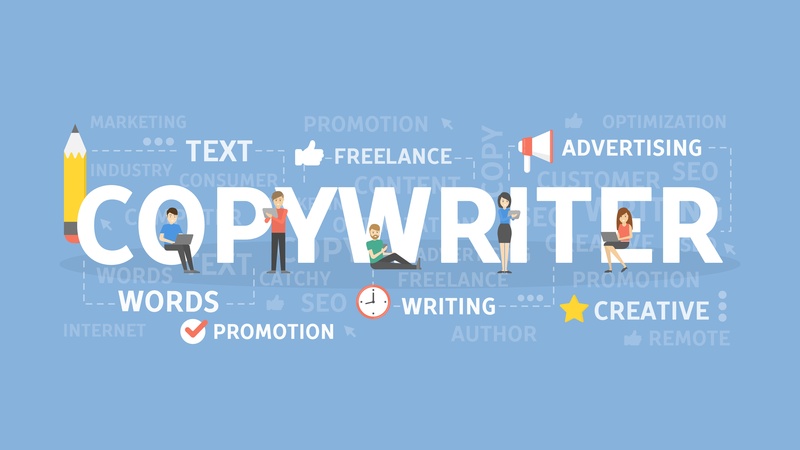 This type of B2B copywriter can be the most difficult to recognize because they are likely to write you a great audition piece. Things are great for a while. Then, you try to get them to change something up, and they hand you something that's exactly the same as everything else. They only have one voice. This is theoretically better than having no voice at all, but can be incredibly frustrating for both the copywriter and you because you've already established a relationship. Either you can continue to supply them with work you know they'll be good at, encourage them to develop more varied writing, or you can look for a new writer. No matter what you choose, it's difficult. You've probably run into some of these types of writers in the past. You may even have had to turn plenty of them down. Sometimes, that's the best thing you can do. Remember that it's not your job to "fix" every B2B marketing copywriter who auditions for you -- your job is finding the right copywriter for your client. However, sometimes knowing what the problem is can take a mediocre writer and transform them into a much stronger one that is just right for you. To learn more, check out our white paper, "Using Auditions to Find the Best Freelance B2B Copywriters."